There are lucrative opportunities for partners which have a good understanding of their customers and deliver value around complicated storage solutions. Billy MacInnes reports. Storage is big business, especially at a time when the amount of information generated and stored by organisations and users is increasing significantly every year. 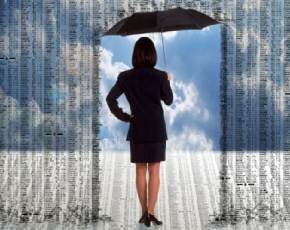 Symantec’s recent State of Information Survey, which covered 4,506 organisations in 38 countries, found that large enterprises expect their data stores to increase by 67% over the next year, while the figure for SMEs was 178%. It claimed information costs businesses $1.1trn worldwide, with $309bn accounted for in storing it, $117bn expended on accessing it, $324bn spent on security and $295bn on compliance. The survey found they spent so much on their information because it was important to them – just how important was demonstrated by the fact that overall, they believed it accounted for 49% of their total value. The huge growth in storage is not being matched by a corresponding increase in budgets, creating a significant opportunity for channel partners, says Lee Knott, HP storage division channel sales manager. “The ability to get more while paying less represents a huge channel opportunity, which is reflected by a number of channel partners investing substantially in technical heads,” he states. Partners investing in understanding their customers stand to gain in delivering value around complicated storage solutions. “As data is of the upmost importance, partners that offer lower risks for customers by demonstrating their storage capabilities stand to gain significantly through consultancy, migration and support,” says Knott. He claims storage is rapidly becoming the next battleground for many partners investing in skills. HP has witnessed a tenfold increase in channel certifications over the past 12 months. To support the channel, HP has just made its single largest investment in people and programmes, such as introducing a channel-only sales team and refreshing the HP accreditation process. Despite the numbers and the value, one thing that storage has not been over he years is flash. But that’s changing with the advent of flash-based solid state disk (SSD) technology. It would be fair to say that Gary Smerdon, senior vice-president and general manager at LSI’s accelerated solutions division, is firmly in the SSD camp. “The integration of flash technology in enterprise system architectures is one of the most significant changes in recent computing history, based on its ability to close the gap between compute and storage performance,” he says. Flash storage arrays are a great opportunity for the channel, according to Carl Berry, business unit director for open storage at Avnet Technology Solutions UK. 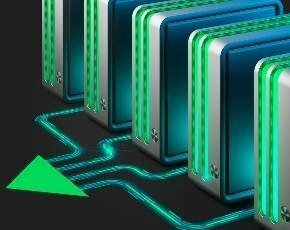 The need to eliminate bottlenecks and maximise performance for mission-critical applications, while protecting data at the same time, he argues, has opened the door for technology which optimises connections and enables performance with scale in front of existing storage architecture. Berry urges channel partners “to gear up quickly in this area”. Simon Gregory, business development director at CommVault agrees that flash is going to be a big mover this year. “It’s unlikely to shape the wider industry, but it’s going to have a serious impact on the purchase decisions for production storage, and that effect is likely to ripple across the major storage vendors,” he says. Gregory also believes there is an opportunity for channel players with the emergence of smaller start-ups in this space. While it may lead to a frenzy of vendor acquisitions, the channel has a window of opportunity “to react quickly to bring these smaller companies to market”. 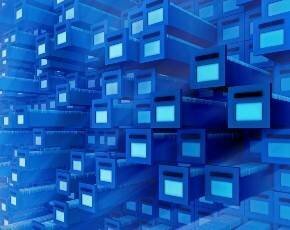 Another significant trend in the storage world is big data. John Campbell, UK alliance director at QlikTech says big data will present significant challenges for businesses. Successful execution of big data analytics can help enterprises network better, gain a competitive edge and engage with customers and suppliers strategically. Channel partners can stand out by helping organisations address issues such as integration, data management, data quality and migration. Berry at Avnet agrees that the “explosion in unstructured data mainly driven by mobile computing and social media is a major storage challenge”, but says storage solutions in this area allow for a higher level of engagement with customers which will benefit channel partners. Peter Godden, Coraid EMEA senior director, says big data’s requirement for massive retention and analysis of data beyond what is possible in traditional database systems is “forcing a rethink of storage to (again) be versatile with maximum scalability, while giving reliable and fast performance at a low cost”. On that subject, Evan Powell, CEO at Nexenta, says resellers need to look at open source-based storage, as many of the world’s leading storage buyers rely on the technology. He claims resellers need to have an open source storage strategy or risk being quickly shut out of deals. Darren Williams, EMEA & APAC software engineer director at Whiptail, also believes channel partners should look beyond technologies they are comfortable with or products aligned with existing vendors, and have another option for users. More forward-thinking value-added distributors are “looking for alternatives to differentiate themselves from their competitors”, he claims. With storage making up such a large cost for projects using technologies such as virtualisation, demand for better performance and lower total cost of ownership “has opened a door for specialist distributors”. Tony Ruane, business development director at Redstor, highlights the cloud as a strong area of opportunity as organisations begin to realise that not all data needs to be stored on-premise “and in some cases actually needs to be stored off site”. He believes backing up online will be a “quick win” for an an ever-increasing number of organisations, especially in the SME sector. “Online back-up technology is no longer the preserve of consumers or small businesses,” says Ruane. Better networks and deduplication technology will enable much larger data sets to be moved off-site to external cloud providers. “We see this technology continuing to improve, ultimately making it more attractive for larger organisations,” he says. David Ellis, director of new technology and services at Computerlinks, says cloud-attached storage services can be a perfect solution for the channel to recommend to SMEs. Because SMEs do not benefit from the same economies of scale as large organisations, the financial benefits of cloud can be extremely attractive. Resellers can add value, delivering storage as a managed service by providing skills and guidance to customers. Pete Hill, channel partner manager at C4L, agrees the storage-as-a-service model is a strong proposition as businesses increasingly turn to external providers offering highly scalable and elastic on-demand storage space. There are several benefits for resellers. As well as regular recurring revenues that come from subscriptions to the service, they have the opportunity to upsell or cross-sell added-value services, such as network security solutions needed to protect especially sensitive data not stored in the external party’s datacentre. He suggests resellers should look or vendors providing cloud storage services that can be easily white labelled, allowing channel partners to easily incorporate the solution into their portfolio. “Rather than worrying about developing their own cloud storage solution, resellers can then focus on what they do best; adding value through the consultation and advice that their customers have come to rely on,” adds Hill. Resellers can plug the knowledge gap by reselling a range of services from providers and helping customers make a more informed decision on the type of service that is best for them. They will also be providing valuable customer touch back to the provider, he adds, urging them to “take advantage of the divide between the biggest cloud providers and your customers”. Ellis says another area of opportunity for the channel is in its ability to deliver storage solutions that can be implemented in storage area networks (SAN) and direct-attached storage (DAS) environments to meet the top-tier application needs of their customers. Paul Routledge, European storage business development manager at D-Link, points to unified storage as a significant trend because it allows the channel to give customers the best of simple file-based network attached storage (NAS) systems and robust block-based storage area network (SAN) solutions. A key driver for unified storage is server virtualisation and storage consolidation. Unified storage eliminates many of the limitations inherent to file-based and block-based storage. Unifying the NAS and SAN platforms simplifies the administration and allows businesses greater flexibility to meet service-level requirements, which also brings the benefit of more reliable infrastructure. Richard Roberts, operations director for the partner organisation, Cisco UK and Ireland, says resellers need to help customers preserve existing investments while remaining flexible enough to accommodate newer technologies such as FCoE, iSCSI and faster iterations of our old friend fibre channel. “The canny reseller will understand that with the diversity of customer environments there is no single storage technology that will rule them. Rather we have a strong diversity of technologies for the next several years,” he adds. In addition to expertise in fibre channel and file-level technologies (SMB and NFS), they need to understand FCoE (fibre channel over Ethernet) and iSCSI (internet small computer system interface), and be able to discuss the benefits of consolidation with FCoE and iSCSI while assuring customers they can maintain current investments and move in an evolutionary manner to a consolidated environment. Returning to the topic of the explosion in data growth and the battle to keep pace with it at a time when budgets are lower, Gregory at CommVault predicts that a forthcoming overhaul of legacy and redundant data management solutions will provide good opportunities for channel partners. “The rate of data growth is outpacing vendor innovation to deal with the issue, so customers are going to be forced into making some radical changes to protect themselves in the long term,” he claims.